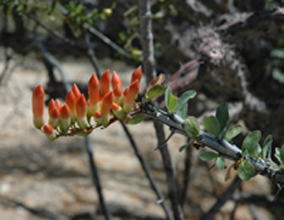 The USA-NPN, phenology, and our partners are often in the news. Follow some recent stories below. How typical is this year's spring? In places where spring has sprung, how how often have we seen a spring like this one? 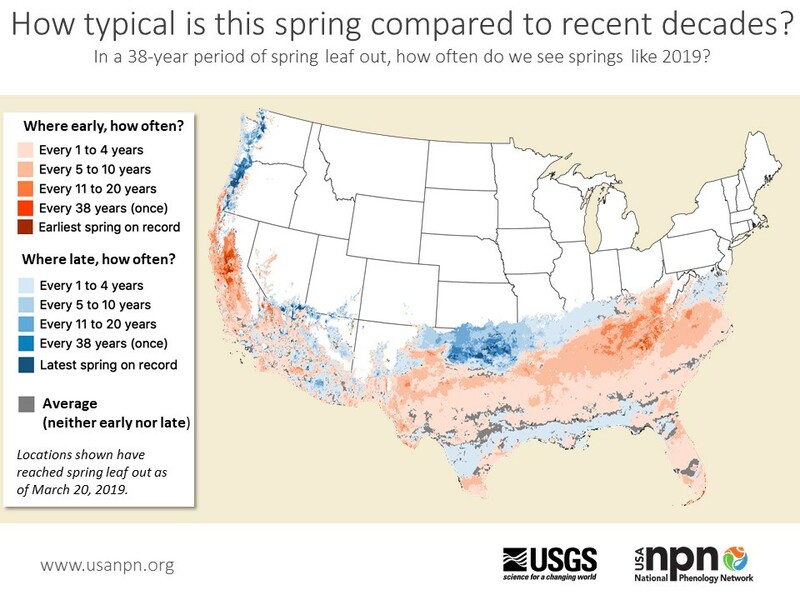 The USA-NPN's spring leaf out shines light on where leaf out of early season plants has occurred across the country. In the map at left, darker colors represent springs that are unusually early or late in the long-term record. Gray indicates an average spring. Did the groundhog get it right this year? 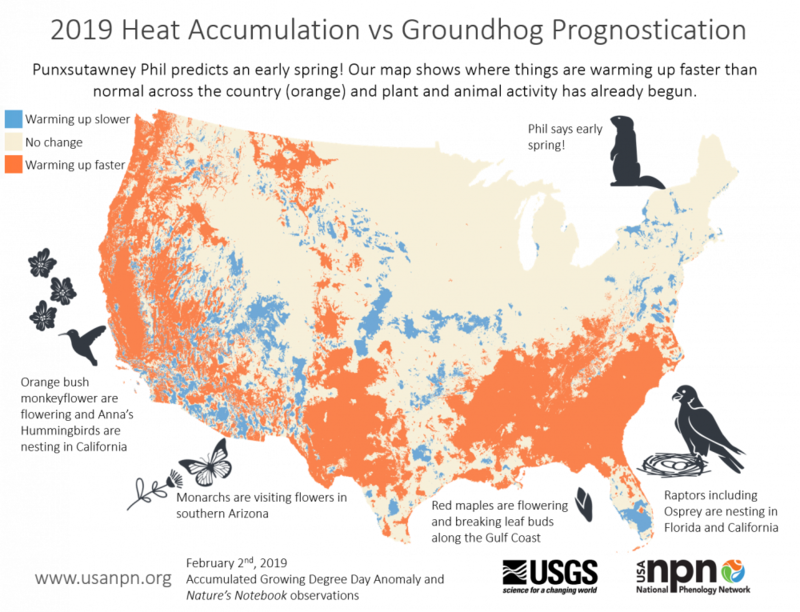 Punxsutawney Phil predicts an early spring this year. Our map of accumulated growing degree days shows he may be right, for parts of the country anyway. See what Nature's Notebook observers are already reporting on plants and animals across the country. Observational data stored in the National Phenology Database were used in 13 peer reviewed publications last year, to identify climate drivers of flowering, validate land surface phenology, document shifts in flowering of milkweeds, and more. We've just reached the milestone of 15 million records submitted to the National Phenology Database! These data are freely available for download and exploration in the Phenology Visualization Tool. Several staff members of the USA-NPN will attend the Fall Meeting of the American Geophysical Union this December. PA31D-1156 The impacts of climate change on ecosystems, ecosystem services, and biodiversity in the United States.